After coming home from work, I forced myself decided to do a load of laundry when I realized that there was a load still sitting in the washing machine from the beginning of the week! UGHHH, the smell of moldy old gym socks mixed with rotten cheese (it was nasty boooyyy) came to mind when I opened the machine door. After re washing the laundry with soap, softener, and Downy unstoppables THREE TIMES, I started believing the smell was never going to go away and that my favorite maxi dress was about to be trash. I went through my mental Rolodex of things that get rid of nasty odors and vinegar was the first thing that popped into my mind. One cup of vinegar in a rinse cycle later, my clothes were odor free and I was a happy chica. The sweet smell of non moldy clothes success! Vinegar to the rescue yet again. 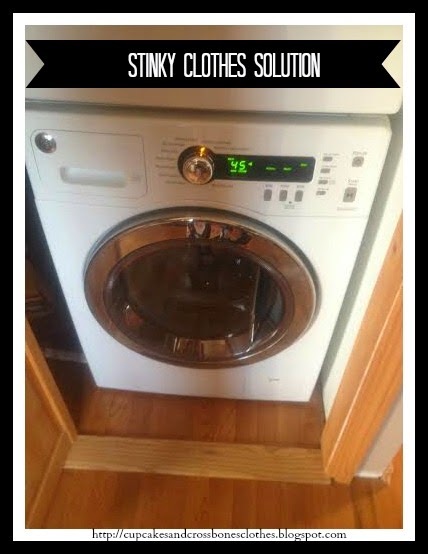 Do you often forget that load of laundry in your washing machine? What tricks have worked for you for getting rid of the stink? P.S. Have a tip or trick that you learned from our blog or one that you want to share with us and our viewers? Pin it on Pinterest, share it on Facebook, or post it on Instagram. Then just tag us and #RockinTheSweetLife to be featured on our V.I.P board...can't wait to see you all rockin out! P.P.S On a completely separate yet extremely important note, if you have been following us on social media you will notice that we have been spreading the word about an amazing organization called New York Bully Crew. Please head over to their website and check them out. 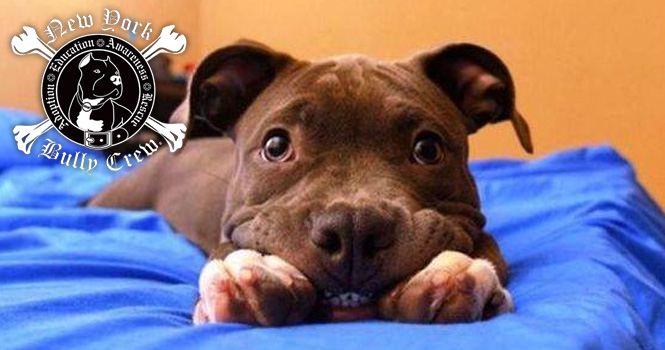 They are a group of wonderful people trying specialize in rescuing Pitbulls, however, no animal in dire need of rescue is turned away. See how you can help and make a difference today. I tend to use baking soda and/or vinegar. Glad it worked on your favorite maxi! Wow I did not know that about vinegar, how awesome. And I love your washer. Wish mine was fancy!!! Vinegar is awesome! You can use it so many different ways. Love it! I went to live alone last year and it happened to me one time... the smell was indescribable and I wanted to throw the clothes in the trash, but I solved the problem with the vinegar too. How awesome!! Isn't it crazy how the smell just sticks and won't go away! Vinegar saved my clothes! Thanks for stopping by girl! vinegar is the bees knees! seriously it works for so much! Hey Kristen! I know, right?! I always make sure I have a huge jug of it at home! when i saw the title of the post, i thought VINEGAR! glad you did too! Hey! Yes vinegar works wonders! I haven't definitely done that before too! The vinegar sounds like a good trick! Hey Carly! I really is, it is the only think that has worked for me.